Fall Plantings For Your Yard!!! Are you getting excited about cool crisp Fall mornings yet? 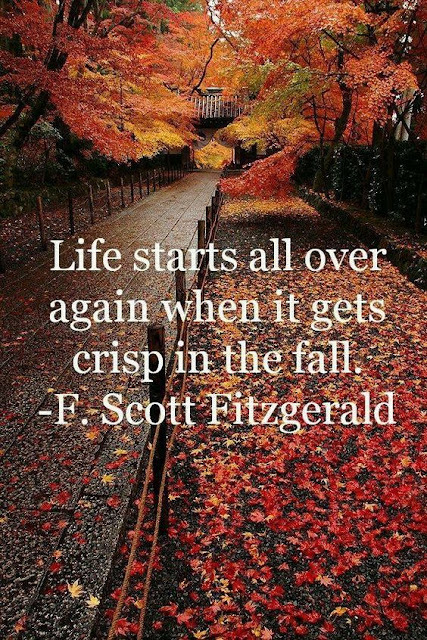 We had about a week of cooler weather and now we are back to a bit warmer temps, but that has not dampened my excitement about FALL!! There has been a few mums and pansies purchased to go by our front porch. Every year I try to change things up a little bit, just because it inspires me to think of how I can change things. 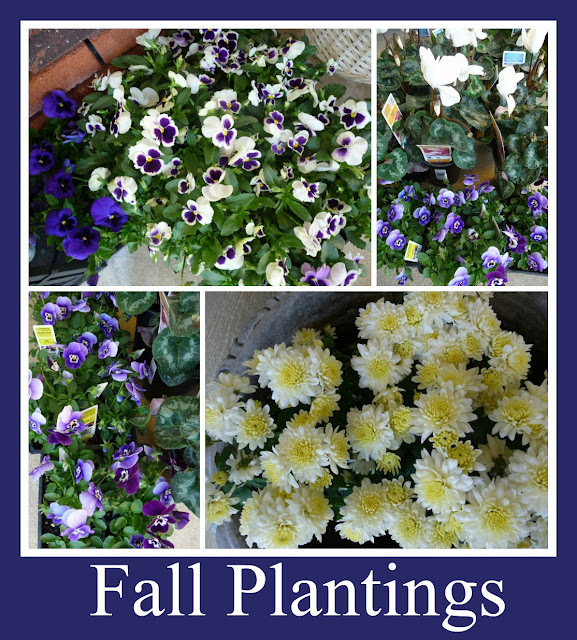 All purples and whites, of course there are also some white pumpkins and blue/green pumpkins added to the mix. 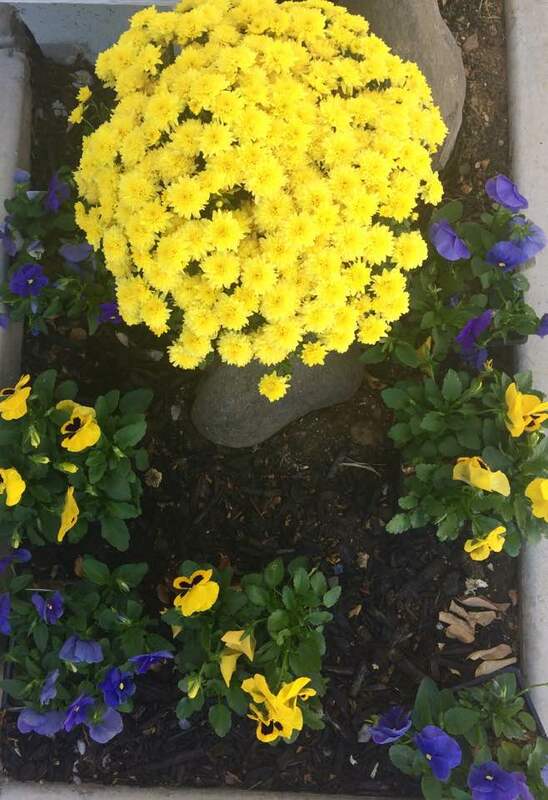 This particular year I chose to mix yellow, whites, and purples. One of my favorite plants to use is the ornamental kale. I have not seen any at our nurseries yet, but as soon as I do they will be added to the mix as well. I love the white center of this ornamental kale plant mixed with the white tipped ivy. This made a fun mix. This was the ear I decided to add a touch of lime green with sweet potato vine and the miniature lemon cypress plant. 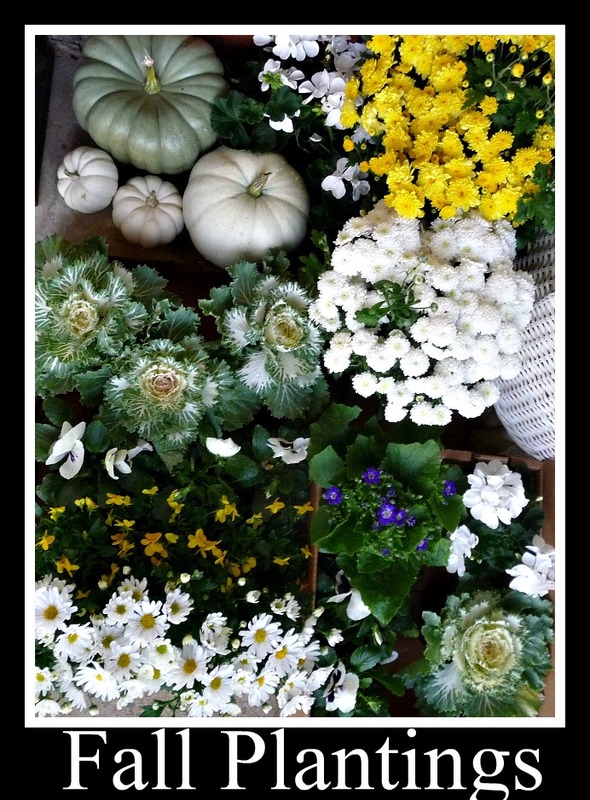 You can never go wrong with a few mini white pumpkins for a touch of Fall. This is on our entry wall into the front door!! 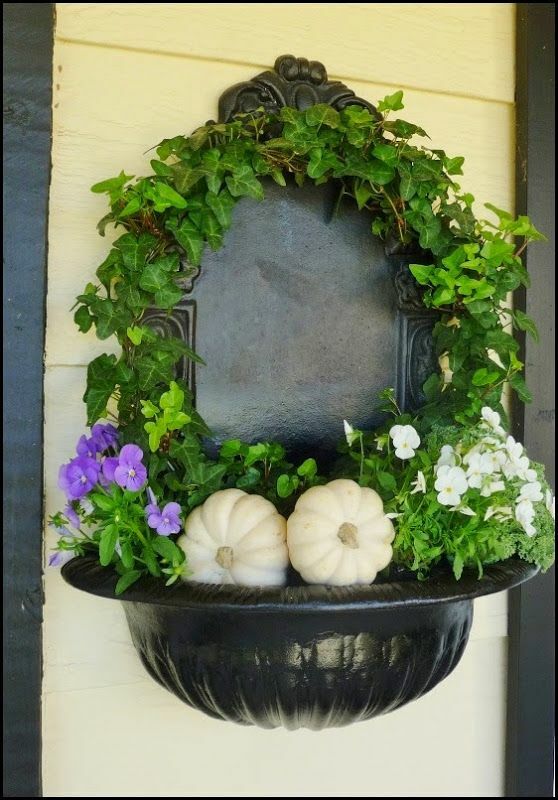 When you walk up to our porch you will see this black planter!! 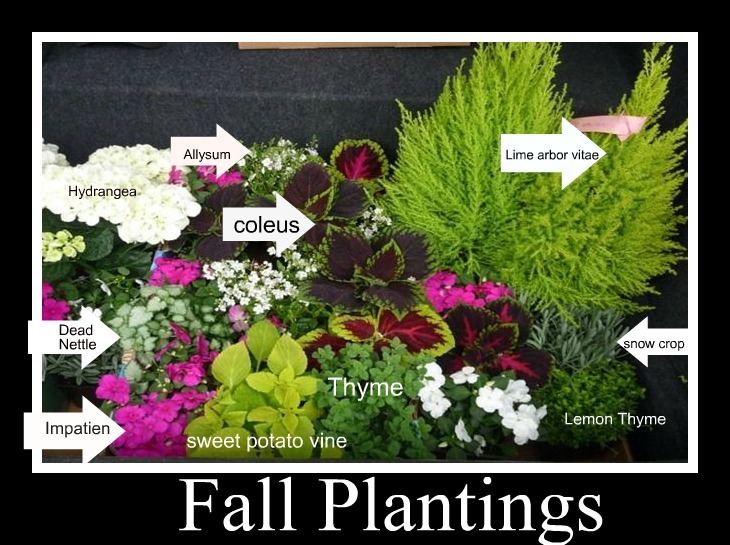 Have you started planting any Fall plants outside yet? 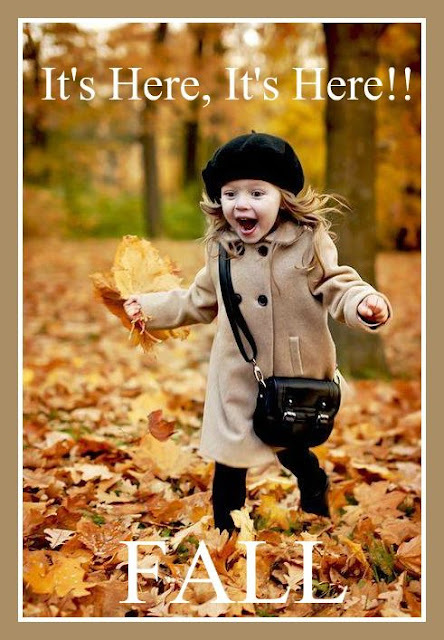 It really will get you in the mood for Fall, it sure did for me!! !